New Jersey doesn’t have a gift tax. 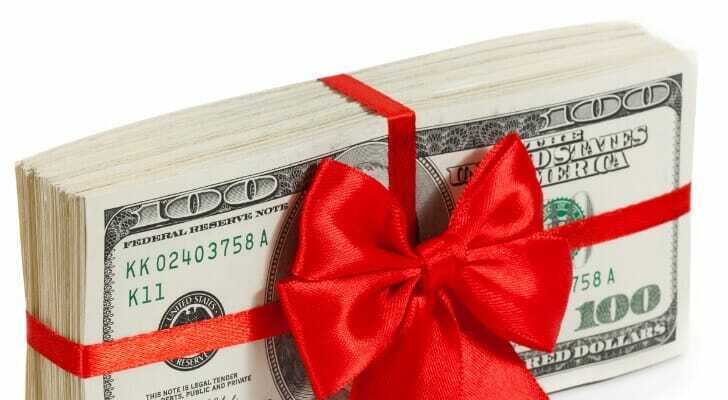 However, you may still owe a federal gift tax if the value of the gifts you provide exceed a certain amount. Following the passing of the Tax Cuts and Jobs Act, the federal gift tax exclusion rose to $15,000 a year. So you can give someone $15,000 worth of cash, assets or property annually without worrying about a gift tax. You would have to report it if you breach that threshold. But you won’t owe anything out of pocket until you exceed your lifetime exclusion limit. This article will cover everything you need to know about the gift tax as well as steps you can take to avoid or minimize your tax payment obligations. We can also help you find a financial advisor to help you with your estate planning. For tax year 2019, as was the case with 2018, you can gift up to $15,000 to any individual without setting off any gift tax red flags. This applies per person each year, so you can essentially give up to $15,000 to your son, daughter and granddaughter without catching the government’s attention. If you give more in value to an individual than your annual exclusion, however, you may just need to file some extra paperwork with the IRS. In this case, you’d be required to report the gift on IRS Form 709. It’s officially known as the United States Gift (and Generation-Skipping Transfer) Tax Return. This form is due by April 15 following the date you made the gift. However, you may request an extension up until October 15. But keep in mind that just because you’re required to report the gift to the IRS, it doesn’t mean you will pay an out-of-pocket tax. In order to trigger a bill, you’d need to breach the lifetime gift and estate tax exemption. The Tax Cuts and Jobs Act raised this dramatically to $11.18 million for 2018 and $11.40 million for 2019 ($22 million for married couples). When Do I Owe the Gift Tax? If you breach your lifetime gift and estate tax exemption, you’d owe gift tax. Unfortunately, the tax rate on money you’ve given can rise quite high, up to 40%. However, the government would only apply this to the portion that goes above the exemption. So if the exemption was $11.18 million and you gave away $12.18 million, you’d be taxed on the difference, or $1 million. Still, there are certain steps you can take to protect your money and still remain courteous. The key point to understand here is that the gift tax and the estate tax are essentially tallied from the same bucket. So if you eat into your federal gift tax exemption, you have less to leave behind tax-free in your estate. But you only begin to eat away at your exemption if you gift more than $15,000 to a specific individual in a year. You can give away cash or property valued at this amount to as many people as you want without reducing your lifetime exemption. Moreover, this move effectively reduces your taxable estate. But if you do end up owing an inheritance tax, you’d only pay for it at the federal level. The state legislature voted to repeal the New Jersey estate tax effective January 1, 2018. But if you’re affluent, you still have plenty of options to protect what you leave behind to your heirs. For example, you can establish a trust fund with the help of an attorney. There are several types of trusts out there with their own rules and legal implications. But one common option is an irrevocable trust. With this kind of trust, you can designate a beneficiary such as a child. The assets get transferred when you pass away. But while you’re alive, the assets you transfer into the trust cease being your property. In essence, they lower your taxable estate. Plus, you can designate a trustee such as a financial professional to manage the assets in the trust. These can include basically anything with value, including savings and retirement accounts, investment portfolios and individual securities. What Gifts Don’t Get Taxed? Spouse: You can give as much as you want to your husband or wife without incurring a gift tax as long as your spouse is a U.S. citizen. If you’re married to a foreigner, you have up an annual limit before it applies to your lifetime exemption. For 2018, that’s $152,000. Medical Expenses: When you send money to an institution such as a hospital to cover eligible medical expenses, you won’t have to pay a gift tax on that money, regardless of the amount. Eligible expenses can be elusive in the eyes of the IRS, however. You should seek a qualified accountant in your area to discuss making these types of payments. Charity: Donating to a registered nonprofit organization is not a taxable event in most cases. But the lines can blur here, too. Seek a financial advisor and tax professional for specific rules around donating to charities. Tuition: If you send money directly to an educational institution to cover tuition on behalf of someone else, the IRS doesn’t consider it taxable. However, keep in mind that you must send it right to the school. If you provide it to the student to cover it, you may reduce your gift tax exemption. However, a special rule applies when investing in 529 plans to save for someone else’s college expenses. Remember, the new gift tax exemption stands at $15,000 per individual, per year. However, the IRS allows you some wiggle room if you’re investing in a 529 college savings plan on behalf of a beneficiary. You can contribute up to $75,000 in one lump sum toward one of these plans without lowering your lifetime exemption. The only exception is that you can’t contribute anymore toward the plan for the next five years. 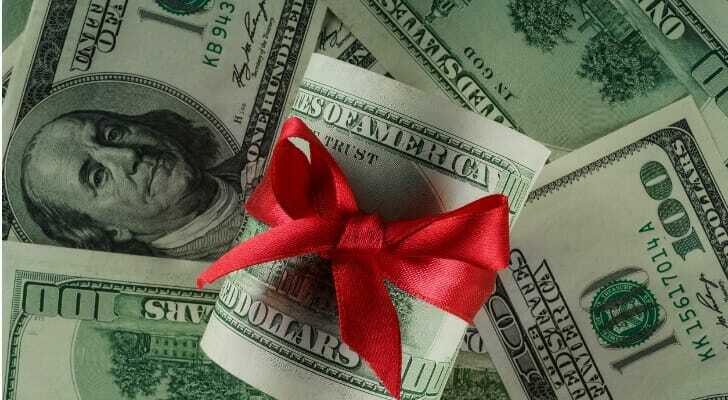 Even though New Jersey doesn’t impose a gift tax, you may owe a federal gift tax. But you won’t owe an actual gift tax until you’ve breached your lifetime gift and estate tax exemption. For 2019, that limit stands at roughly $11.40 million. With careful estate planning, a married couple can shield about $22 million from taxation. But this rate is set to expire in 2026 unless Congress makes it permanent. Nonetheless, you have several options to steer clear of gift and estate taxes such as taking advantage of your annual exclusions and carefully establishing trusts. The government may impose a heavy tax on the estate of a wealthy family before it’s passed on to the proper heirs. However, you can take several steps to avoid or minimize the estate tax. Speak to a financial advisor and a legal professional who specializes in estate planning. He or she can guide you through building the right trusts and taking other precautions. If you’d like to work with a financial advisor, we can put you on the right path. Our SmartAsset financial advisor matching tool connects you with up to three advisors in your area who can help. You’d also get free access to their profiles, so you can review their credentials and qualifications before deciding to work with one. The post New Jersey Gift Tax: All You Need to Know appeared first on SmartAsset Blog.